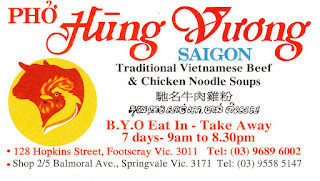 This was one of the first Vietnamese restaurants we visited when we moved to Footscray, and although we'd had a good bowl of Pho, we hadn't been back for ages, probably because it's always looked really busy! We had some spring rolls which were fresh and crispy and came with a mild dipping sauce and lettuce leaves. 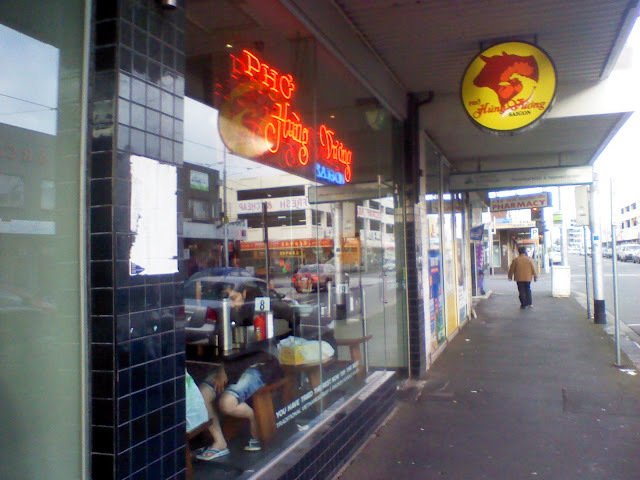 The pho ga was huge for a medium and came with plenty of chicken. 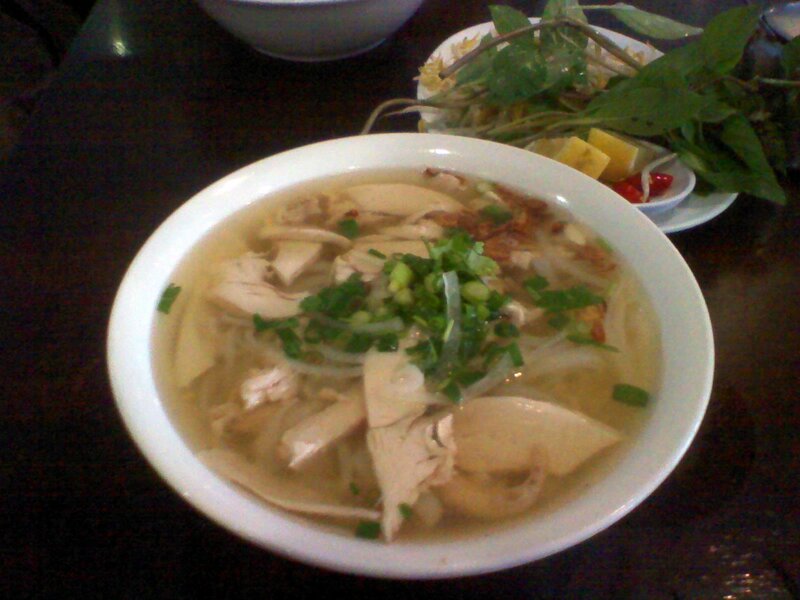 The broth was good, but lacked a bit of punch. 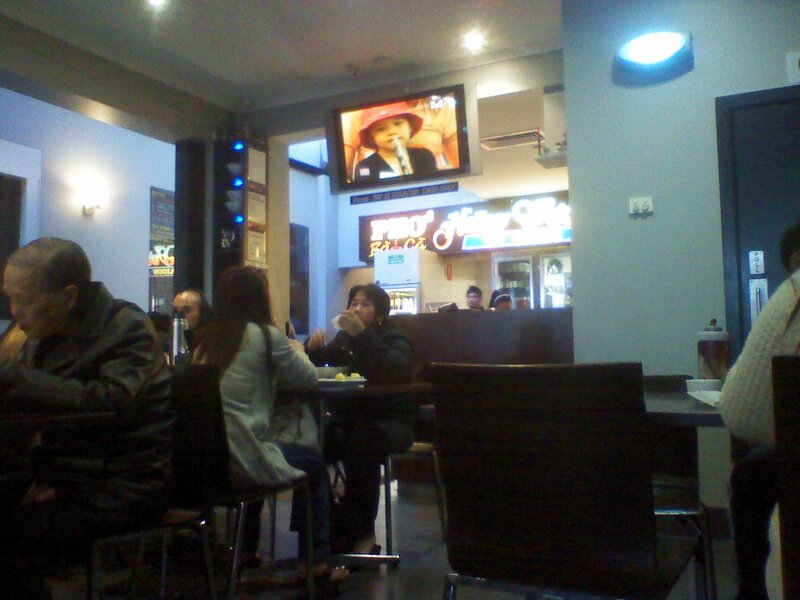 We'd be happy to pop in again, if there is a spare seat!